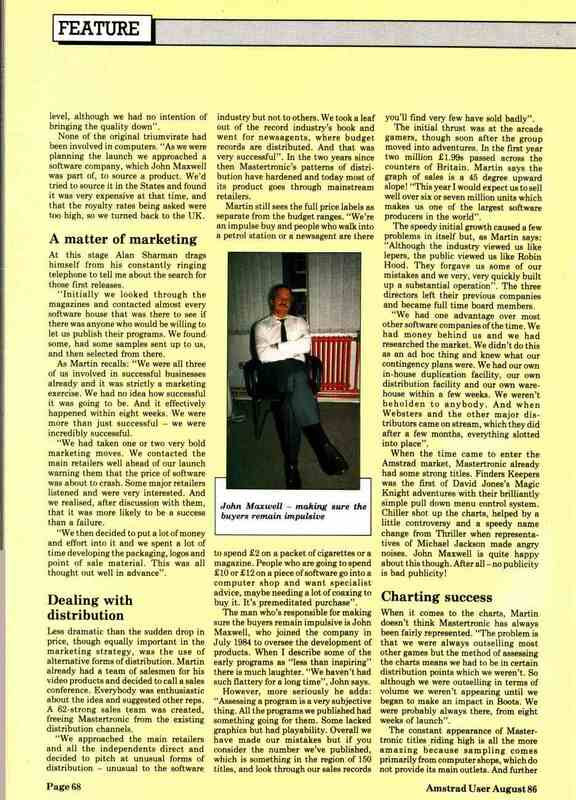 This major article in Amstrad User, August 1986, captures Mastertronic in highly confident mood. 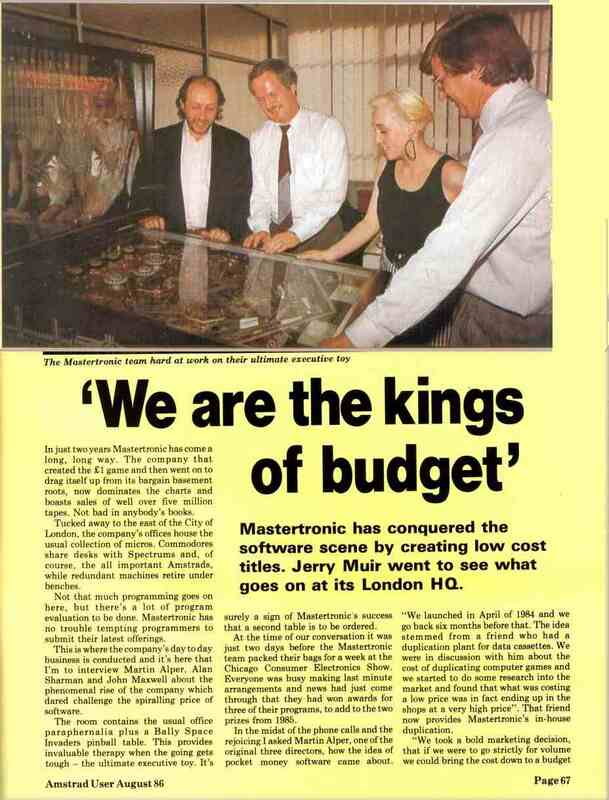 The distractions of full-price software, increasing competition in the budget market and the heavy costs of financing arcade machine development and Melbourne House were in the future. 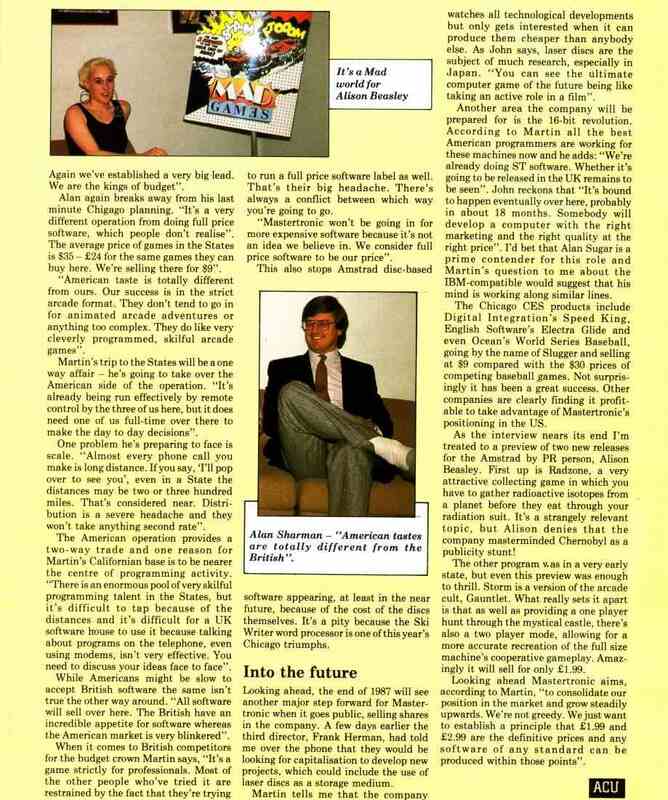 Martin Alper was on the verge of moving to Southern California to set up Mastertronic Inc. and the company was finding favour from many of the high street stores that had previously scorned to stock budget software. The author made the common mistake of calling Alan Sharam "Alan Sharman". 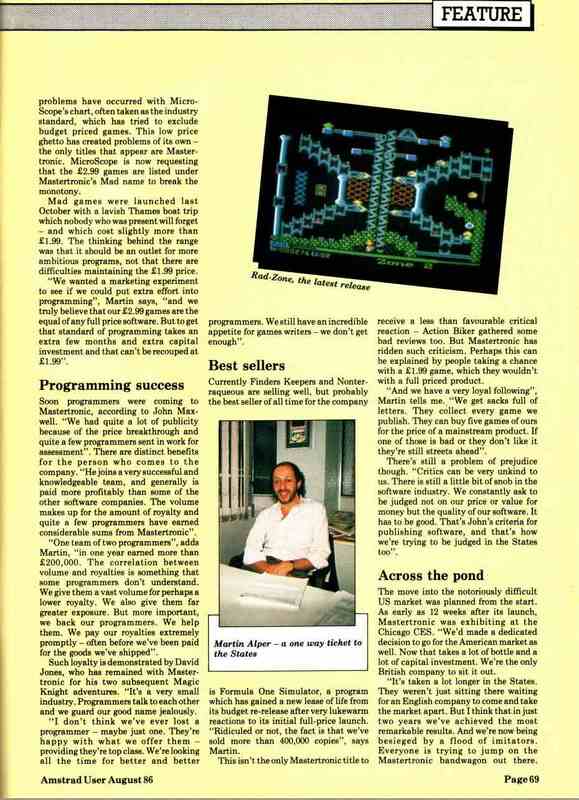 However, the article is so well-written and accurate that I can excuse him. I enjoyed many a game on the pinball table, but woe betide anyone who tried to beat Frank Herman - you were liable to be shoved out of the office just as the ball came down the middle!